There is probably nothing more essential to a functioning democracy than clear and direct communication between representatives and their constituents. In 2013, the proposed introduction of the Local Body Tax (LBT) in Mumbai – a replacement for the regressive Octroi tax – resulted in a month-long stand-off between traders and local authorities, during which many shop owners closed down shop in protest of the new tax structure. The tax, which would give local municipalities the right to independently tax any goods imported for the purpose of sale or consumption. The LBT was proposed as a replacement for Octroi, a form of tax that dates back to ancient Rome and that had been abolished in virtually every city on earth save Mumbai itself. Trading communities in the city came directly to Milind to share their concerns over the tax – not only that it could adversely affect business, but also that it could result in increased pressure on traders from the authorities. 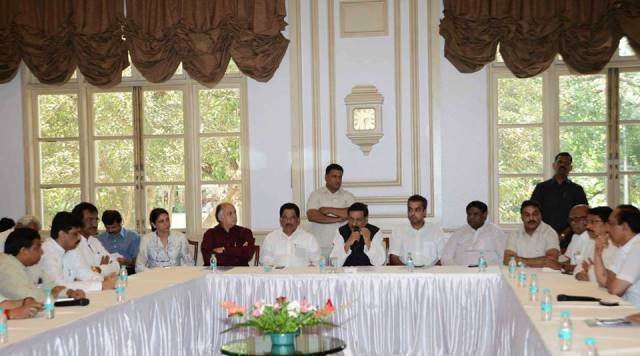 Having met personally with a delegation from the city’s diverse trading community, Deora took their grievances directly to the Maharashtra Chief Minister for discussion over the course of three meeting. He took the concerns and complaints of the delegation as far as Sonia Gandhi in order ensure that the voices of his constituents were heard at the highest levels of government. As a direct result of Milind’s efforts, the legislators agreed to withhold the new tax until a clear consensus had been reached between the Maharashtra state government and the trading community at large.